She never wanted to win. Then something magical happened. Tyler Wright is our newest world surfing champion. 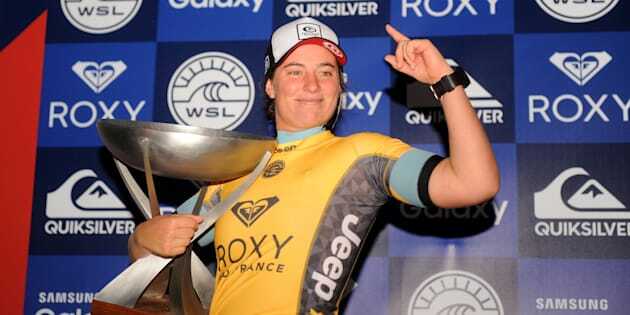 Overnight she became the seventh Aussie woman to rule the surfing world, after finishing second at the Rocky Pro France. Here's what you need to know about her so you can be better informed than everyone else at barbecues this weekend. The surfing life looks like a bunch of misery, doesn't it. That's Wright on the left, finishing second in a recent event in Portugal. Wright is 22 and grew up at Culburra Beach, a surf spot about two hours south of Sydney near Nowra. Her brother is pro surfer Owen Wright. More about him in a sec. Which was just ridiculously cool and impressive. "She doesn't respect her elders," Beachley joked when contacted by The Huffington Post Australia this Thursday. Ha! And to celebrate, she got carried off the beach by Stephanie Gilmore and Jessi Mylie-Dyer. Then probably had ice cream and watched some cartoons. "I think the expectations [to win a world title] come from people telling me that I need to win a world title, not really from me." Hats off to you, Tyler. "I finally realised the difference between someone that doesn't care and someone that cares. And I care." Why the change? How did the talented surfer find determination too? Why was 2016 so different? "Because she chose to win," Beachley said. "She believes in her ability now more than ever before. From adversity comes greatness, and despite the heartache and heartbreak she has endured, she overcame the odds and won a world title, which is amazing. As mentioned, Tyler Wright is the little sister of pro surfer Owen Wright. Owen suffered a serious brain injury at Hawaii's notorious Banzai Pipeline break in December 2015. He had a serious concussion and minor bleeding on the brain, and sat out several months. But as Lane Beachley explained, "the challenges Tyler's brother has been through have brought them even closer". Tyler's uncle also passed away last year. He used to love watching her surf, and she promised him a world title. All of this appears to have focused her. Beachley back in the day, clinching her fifth world title. She'd win two more. There are just 10 events on the World Surf League tour. Nine have been completed so far in 2016, and Wright has already won four. 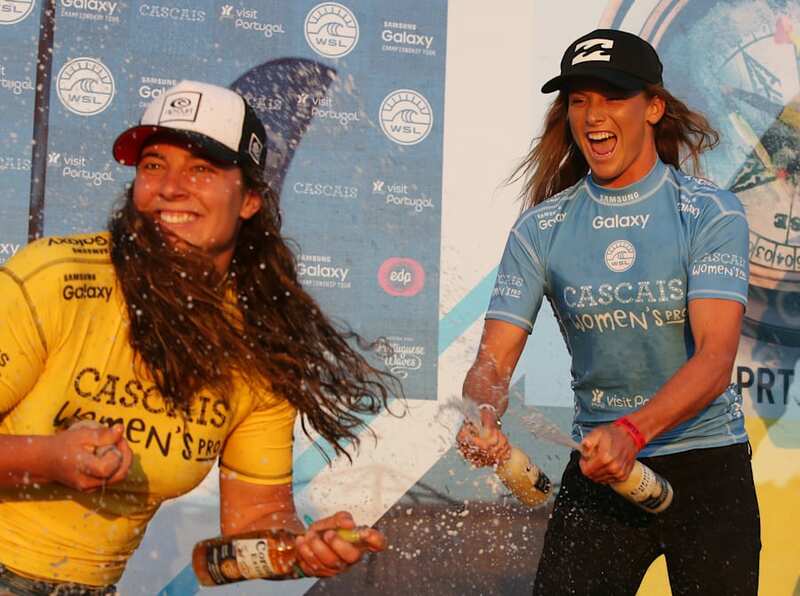 She didn't win the final in France overnight, but a runner-up finish to American Carissa Moore was enough to make her points lead unassailable. Full results are here. Tyler Wright has the knack of making her surfboard look like a hoverboard. 8. And when she's not surfing? "She loves to dance on stage," Layne Beachley told us. "She just loves to have fun. She's a really fun-loving, heart-on-sleeve person. And she loves the movie Despicable Me!" 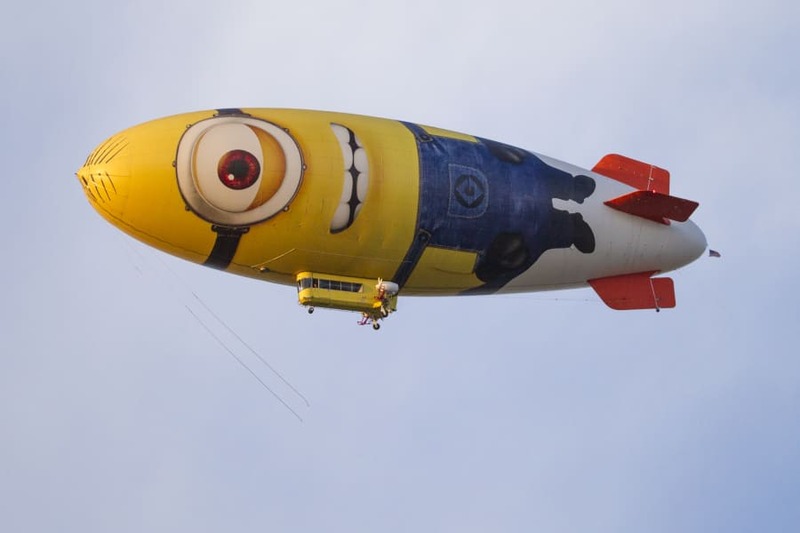 We tried looking for a Despicable Me image that had a surfboard in it, and this blimp was the closest we could find. Points for effort?